There are many different ways to approach succession planning. Most people have beneficiaries who will one day receive proceeds from their Estate but concerns over inheritance tax can vary greatly. For some people, they consider that any net inheritance, after payment of tax, will leave a sufficient amount for the beneficiaries. Others take the opposite view and want to minimise or even try to eliminate the inheritance tax payable with a view to their beneficiaries inheriting the Estate in full. 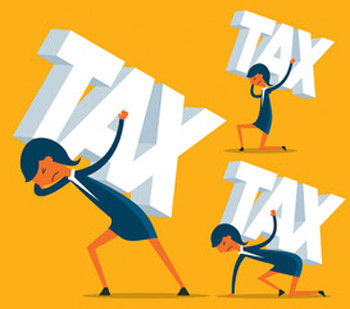 Between these two extremes, there is the potential for tax planning which will help to minimise the eventual tax payable without hindering the needs of the individual during their lifetime. At RAFP we ensure that succession planning is consistent with individual views whilst maintaining suitable control over investments. Retiring to another country will normally involve becoming tax resident there as well. However, you cannot simply forget the UK at this point. Depending on your circumstances, you may still need to file tax returns in the UK. Inheritance Tax may remain a major consideration for years, particularly if property or other assets are maintained in the UK. Even when they are not, the UK tax authorities may still have an interest. Inheritance tax in the UK is calculated by reference to the Estate of the deceased person and their domicile. In some other countries, it is calculated by reference to the beneficiaries rather than the deceased person or their Estate, with the rates of tax varying, depending on who the beneficiaries are and their relationship to the deceased. Tax may be due in both countries but with the help of dual tax treaties, double taxation can often be avoided. All of these factors are taken into account by RAFP when structuring investment advice. Looking for authoritative advice on effective succession planning and inheritance tax? Richard Alexander Financial Planning Limited is authorised and regulated by the Financial Conduct Authority. The FCA does not regulate taxation advice. The guidance and/or advice contained within this website are subject to the UK regulatory regime and the European, Markets in Financial Instruments Directive and is targeted at consumers based in the UK and other European Union countries.